Ortlieb has done it again! 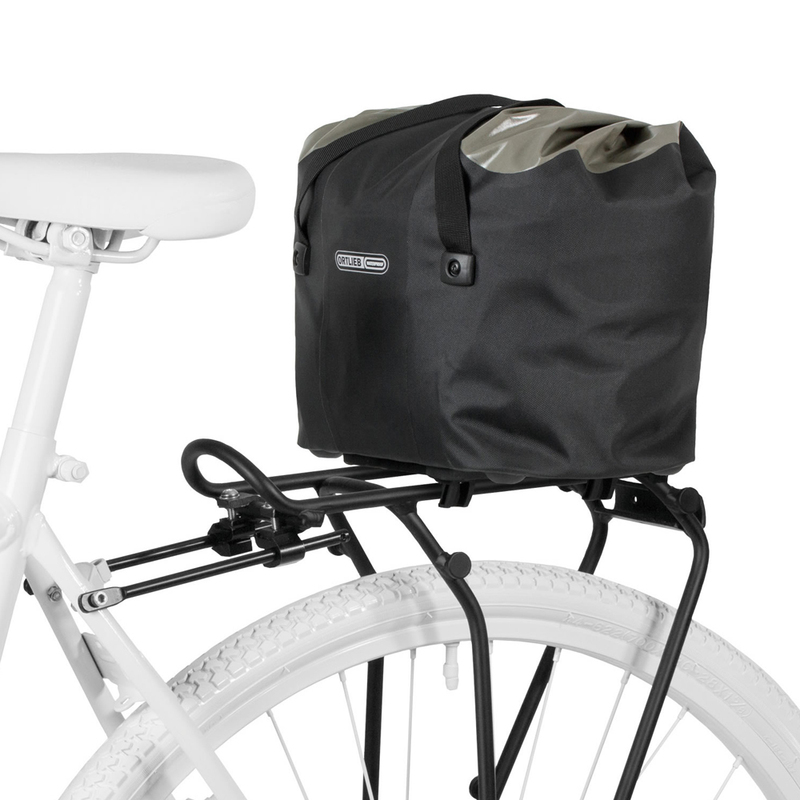 The Rear Basket fills a void for a product that can be used by the everyday commuter and the avid tourer… Ansehen Ortlieb! Groceries and other purchases from your stroll through town – you can take them all home conveniently and securely in the ORTLIEB bike basket. Made of a lightweight nylon fabric and featuring a drawstring flap closure, the basket offers variable stowage space and a maximum payload of 10 kg. Outfitted with the award-winning ORTLIEB Rack-Lock adapter system, the basket fits on virtually all commercially available bike racks – no matter whether they are wide or narrow, or come with or without a spring clamp. The basket remains securely attached to the bike rack and can be easily removed with a single hand. Thanks to the durable adapter on it’s underside, the basket stays upright on any surface for more convenient loading and unloading. Manufactured from a fiber-reinforced high-tech, anti-scratch thermoplastic that is extremely strong and durable, and in many tests can be stronger than metal parts. Integrated lock mechanism secures bag to the rack. Allows for easy and quick removal of bag. Mounts to rack rails from 8mm to 16mm diameter. Compatible with all standard racks from 60mm to 160mm wide. Requires rack with parallel top rails. Mounting width is adjusted with a 3mm allen key. Highly rated tear and abrasion resistance. Use of high frequency welding to meet the highest of waterproofing specifications. Used throughout Ortlieb’s bikepacking lineup. As compared to the “Classic” PD620 fabric, it is lighter in weight and more flexible especially is cold weather, yet it is still very tough. Includes a rip stop attribute for extra durability in off-road conditions. Highly durable, polyurethane waterproof inner layer. 5 = Protected against dust, slight penetration of dust possible. 3 = Protected against spray water (max. 60 deg to the vertical). Highly reflective 3M Scotchlite patches on rear of Trunk Bag. Bottom Feet allows bag to sit upright.